If you’ve ever dreamt of Christmas breaks in New York with the snow falling and the cheer of the holiday season all around, why not take a serious look at going there? Although the place can be undeniably brash, busy and colourful, Christmas in the Big Apple is an event that should be enjoyed at least once in a lifetime. There are a wide range of family attractions that showcase the romance and pageantry of Christmas in a city. A shopping break during the Christmas holiday season offers window displays on Fifth Avenue and trendy boutiques in Greenwich Village. Street entertainment under Christmas illuminations or dinners in elegant restaurants on East 55th Street, could also be part of Christmas breaks in New York. Carnegie Hall and Radio City Hall are two places that offer seasonal shows which shouldn't be missed, and how could a break to the Big Apple be complete without a night out on Broadway? Why not walk through Central Park on a star lit night or enjoy ice skating at the Rockefeller Centre basking in the colour of its illuminated Christmas tree? If you look up to the night’s sky during the holiday season, laser shows from Grand Central Station and the dazzling lights atop the Chrysler Building will help keep you in the Christmas spirit. If you’re travelling with your family, you may wish to forego the night time activities and save your strength for a trip to Santa’s Grotto on Fifth Avenue or a walk around Central Park Zoo. Coney Island is another option for families, as popular sideshows and funfair carousels will entertain the kids and provide many happy memories. 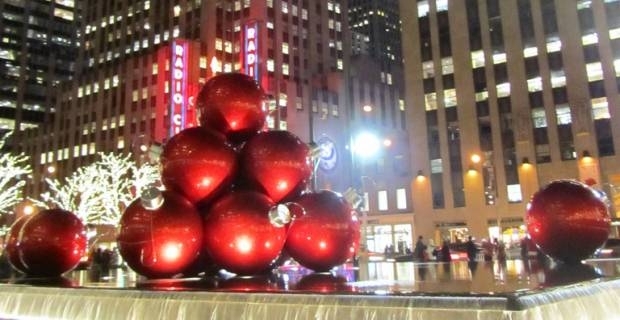 There are plenty of tour operators ready to discuss Christmas breaks to New York with you, so don't delay. You could make it a long weekend or enjoy the whole of December as the winter season takes over and the snow begins to fall. The season of goodwill could be the best season to see this breathtaking city.